Upper Mustang is also called hidden Himalayan valley at the North of Annapurna and Dhaulagiri Mountain Range. ItHere is in the rain-shadow area of Nepal so it is called dessert land of Nepal.Here people are called Lo who are influenced with Tibetan Buddhist, Religion and Culture. Lo people believe that they are celebrating Tiji festival since 15th Century. Celebrated at the courtyard of the king’s palace, this is most important festival around this valley. All the people from seven villages of Upper Mustang participate in this festival. 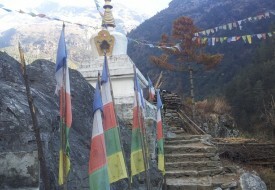 Tiji festival begins as a religious ceremony around this valley during the month of May. It is 3 days ceremony. 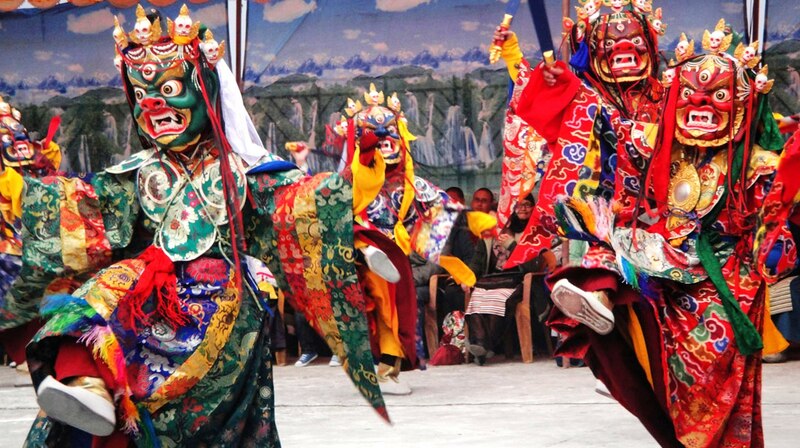 All the people are seen wearing colorful custom dress when they dance at the town Square in Lo-manthang. The story behind the festival is related to the victory of the god power against evil power and is surrounded around the theme of rebirth. People pray strongly for Hope, Peace and Prosperity of the people residing here during the occasion. After prayer, they believe that the god will protect the village from evil eyes or evil power. The region becomes crowded during this festival as people from local area as well as from other parts of the world too gather here for the celebration. Not only the festival, visitors can visit many other interesting places like ancient caves, thousands of old Buddhist monastery, painted cave, etc. If time suits, Damodar Kunda, the source of Kaligandaki holi river can be visited. On the way, panoramic mountain views, valleys, terrace fields, wooden bridge, sheepherding, mountain goats, bunch of yaks and cows can be seen. Animal husbandry is the major source of income for mountain people.